2015 Gibson Custom CS9 '50s Style Les Paul Standard Gloss - Wildfire AAAA Flame. Brand new, not been a demo in a store. Extremely limited edition. This is the new 2015 Gibson Les Paul '59 Reissue R9 Historic solid body electric guitar. The CS9 Les Paul embodies all the vintage goodness collector's love. This re-creation features a non-weight-relieved mahogany body, classic hardware, a bold Wildfire burst finish, a hide-glued neck and fretboard, a hand-carved maple top, a vintage truss rod and tuner designs, and more. Gibson Custom Historic guitars are brimming with spot-on authenticity and massive vintage vibe. Gibson Custom Shop paid just as much attention to the CS9 '50s Style Les Paul Standard VOS's electronics as they did to its aesthetics. Beginning with vintage CTS potentiometers and Bumblebee capacitors, every part of its internal signal path is designed to give you absolutely dead-on '59 Les Paul tone. The Custom CS9 '50s Style Les Paul Standard sports a pair of Gibson's Custom Bucker humbuckers. The Custom Bucker is the most historically accurate PAF copy ever. You just won't find another Les Paul that comes as close to the original look, sound, and feel of a '59 Les Paul. This has a bound mahogany neck with long neck tenon and the original chunky '50s rounded neck profile, which is historically accurate. The rosewood fingerboard has acrylic trapezoid inlays that are accurate in both shape and color. Nickel-plated hardware and vintage tulip tuners complete the package. 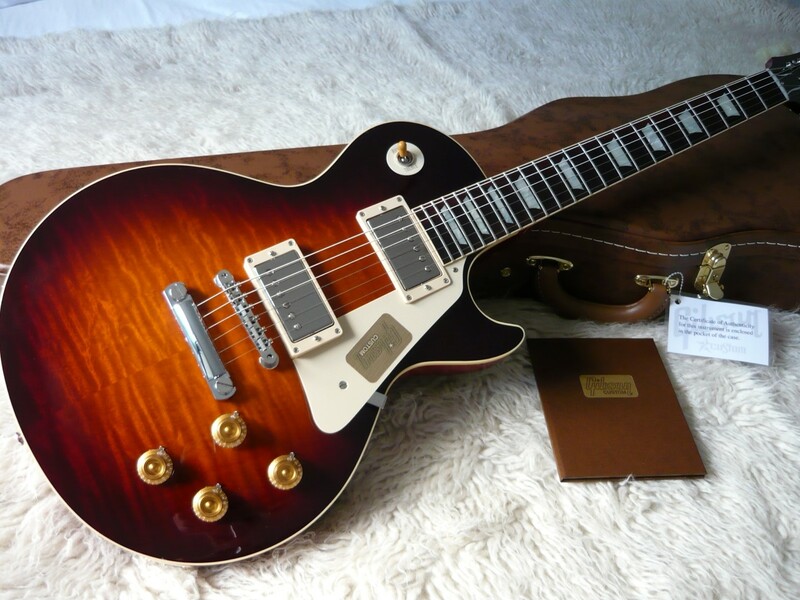 Custom Shop Gibson hard shell case and Certificate of Authenticity included.